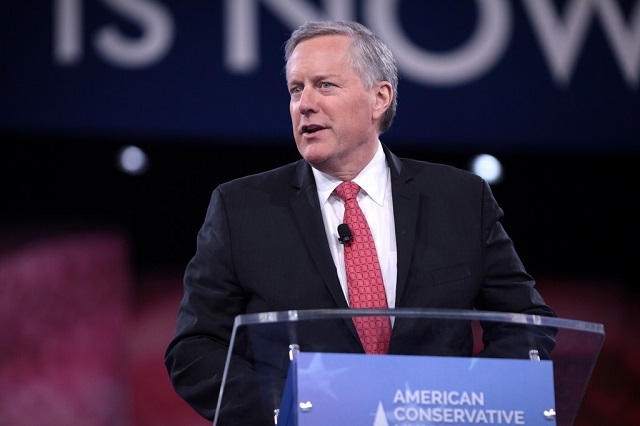 House Freedom Caucus chairman Rep Mark Meadows said Monday that if funding is not included for Trump's border wall in the next government spending bill conservatives have the votes to force a partial government shutdown. Rep. Mark Meadows (R-N.C.), the caucus chairman, said Monday that conservatives will block any spending bill that doesn't include the funding. Meadows said Trump could veto a funding bill if the House passed it without wall funding. Current government funding runs out in September, and the government would face a shutdown if Trump doesn't sign a bill passed by Congress by Oct. 1. “My conversations with the president have led me to believe that there is nothing less than a full and total commitment on his part to only sign into law a funding bill that actually allows for us to start construction of a border wall on our southern border,” Meadows told Breitbart. Outside of nuclear war, immigration is the number one issue as our liberal elite are hellbent on replacing and displacing native Americans with easier to control, third world populations they can exploit as their slaves. As Breitbart reports, Alabama Rep. Mo Brooks echoed Meadows' message in a new Senate ad released on Monday, saying that if he's elected he'll "fight every spending bill that doesn't fund that wall." "We're going to build that wall, or you'll know the name of every Republican who surrenders to the Democrats to break my filibuster," Brooks said.